Will this new change make more people opt for Walmart when shopping online? Walmart canceled their ShippingPass program today, marking the end of their attempt to compete with Amazon for paid subscribers. Walmart made an attempt to compete with Amazon Prime by launching their own paid subscription called ShippingPass back in May 2015. For $49 a year, you received free two-day shipping on any order at Walmart.com, as well as free returns online or in-store. But Walmart has now decided to get rid of the paid subscription and replace it with free two-day shipping as long as you spend at least $35 (the free shipping threshold used to be $50 if you didn't have a ShippingPass subscription). 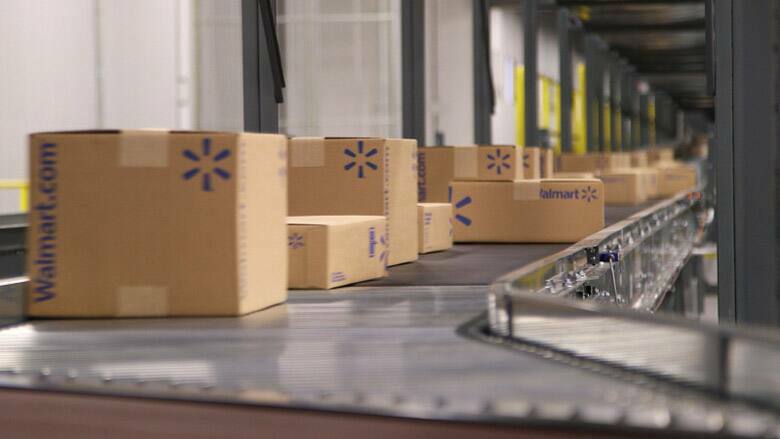 If you ship your order to a Walmart store, there is no minimum order amount and shipping is free. If you paid for a ShippingPass membership, Walmart will refund you the full amount within 30 days to the original form of payment. It's not really a shock that this program is now defunct. Walmart didn't do enough marketing to promote the ShippingPass after it launched. Not to mention, the only thing you got was free shipping. Sure, Amazon Prime is $99 per year, but you get so much more than just free shipping. If you're trying to compete with a giant, you better be good with a sling. Walmart wasn't, or maybe they didn't have the stones for it. Having said that, I will give Walmart credit for this new change. They realized it was too late to enter the paid subscription market, but by lowering their free shipping threshold to $35 after Amazon raised theirs to $49 last year, and delivering in two days as opposed to three to five days, they can win over non-Prime members who still shop at Amazon; maybe even some Prime members who only use Amazon for the free shipping. Jet.com did the same thing shortly after coming onto the scene in 2015. They scrapped the paid subscription model and offered free two-day shipping on orders of $35 or more. Coincidentally, Walmart bought Jet.com last year and the co-founder of Jet, Marc Lore, is now the president and CEO of Walmart's eCommerce division. The reaction to this news from the Slickdeals community is mixed. Some are in favor of it, while others aren't jumping ship quite as fast. What's your reaction to this? Are you more or less likely to shop at Walmart now?